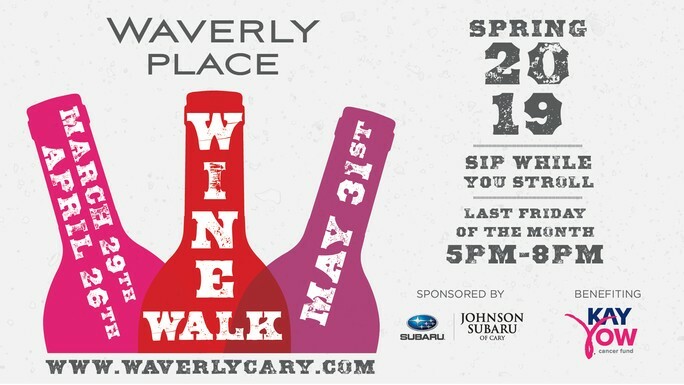 Enjoy springtime temperatures at Waverly Place during the Waverly Wine Walk benefiting the Kay Yow Cancer Fund. Presented by Johnson Subaru of Cary, the signature event series returns this spring on Friday, March 29, from 5 to 8 p.m. and continues on April 26 and May 31. Revel in the spring evening as you stroll through Waverly Place while visiting your favorite participating shops and restaurants for wine samples and exclusive promotions. Sample red, white and sparkling wine at select Waverly Place merchants, all chosen by Triangle Wine Company. Visitors receive a sampling glass plus a Waverly Walk Passport that allows access to the event along with a $15 donation to the Kay Yow Cancer Fund to aid in the fight against all women’s cancers. 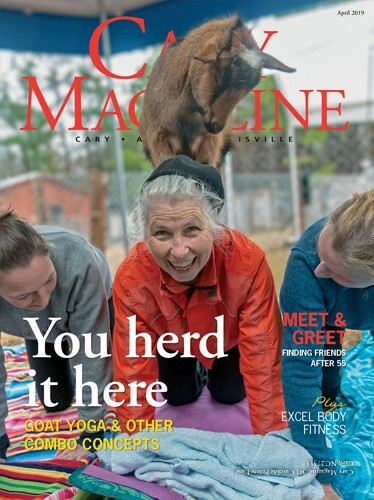 Donations will be accepted at Kay Yow booths located on-site in The Park and near Kale Me Crazy. Guests must be over 21 years of age to sample wines.